the second host, circa 1940 Masters of Mystery John Dickson Carr (author of Cabin B-13) and Brett Halliday among others hosted Murder by Expect. They were some of the top writers in the history of mystery and the show exhibits some of the best mystery writing known on radio. The show's success is based largely on it expert writing, rather than empty star talent. 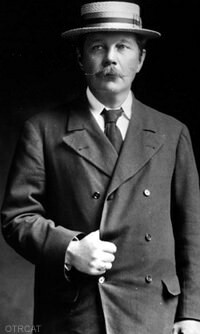 John Dickson Carr is best known for writing complicated plot twists and plenty of gore. He preferred not to write in a genteel style, but rather choose a sensational style with a smart plot design. He had a flare for supernatural settings and even some slapstick comedy when appropriate. His books sold over millions of copies worldwide and in 17 different languages. Davis Dresser worked under the name Brett Halliday. 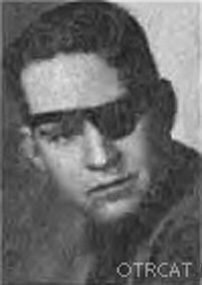 He lost one of his eyes in barbed wire while growing up in Texas and wore an eye patch for the remainder of his life. His best-known work featured the private detective Michael Shayne and Halliday was equally as prolific as Carr. This is one of the best mystery shows available and will add much enjoyment to any mystery collection. Be the first to comment on "Murder by Experts"